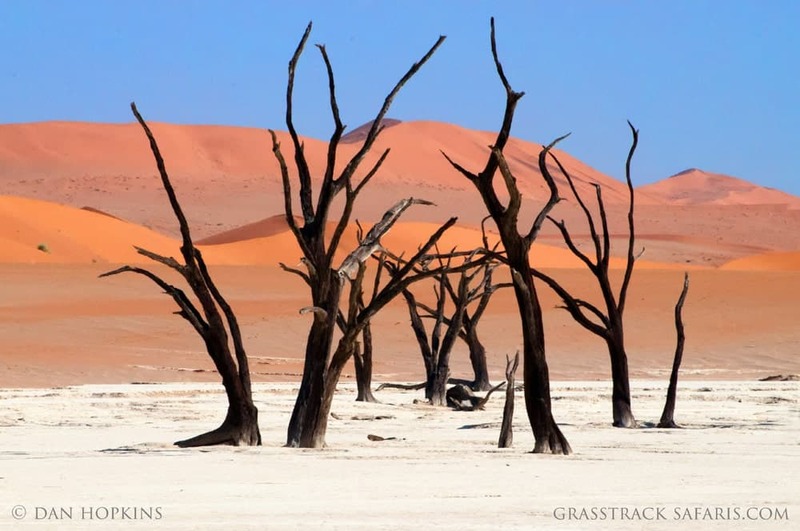 Located in southwestern Africa on the Atlantic Coast, Namibia offers vast desert landscapes, towering sand dunes, a diversity of cultures, strange plant life, and abundant wildlife. It’s a safe destination with friendly and welcoming people. Why not explore this unique country in unique, remote, and private tented camps? Our Under Canvas camps are a unique way to experience this stunning country. 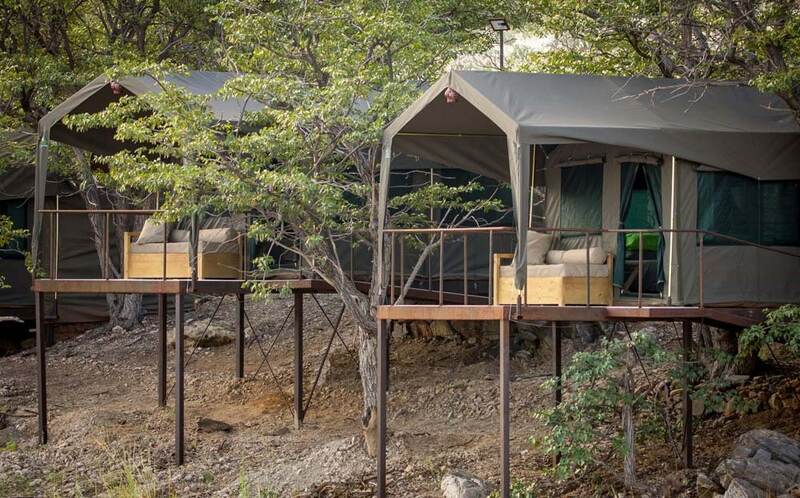 Each camp is a small collection of canvas tents set in the pristine Namibian wilderness. We offer two Under Canvas camps: //Huab Under Canvas and Sossus Under Canvas, both exclusive and only for the private use of your safari group. These camps will get you back to nature without sacrificing comfort and style. Under Canvas camps are designed to offer a true “back to nature” experience with an emphasis being on the experiential aspect of safari. We believe a strong desire exists in many travelers to go back to the roots of safari, to touch, smell, feel and experience the wild, with one’s feet firmly in the dust that covers Africa. Our Under Canvas camps provide an experience that is exclusive in the real sense of the word, as well as being very much away from it all! 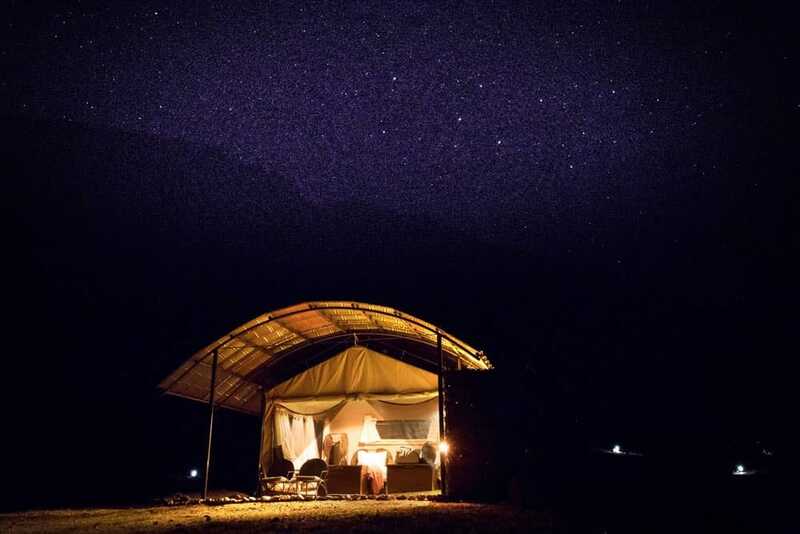 Each camps allow guests to enjoy a quality camping experience while ‘roughing-it in style’, which is particularly appealing to those who want to connect with the earth, culture and wildlife in a very up-close and personal way. 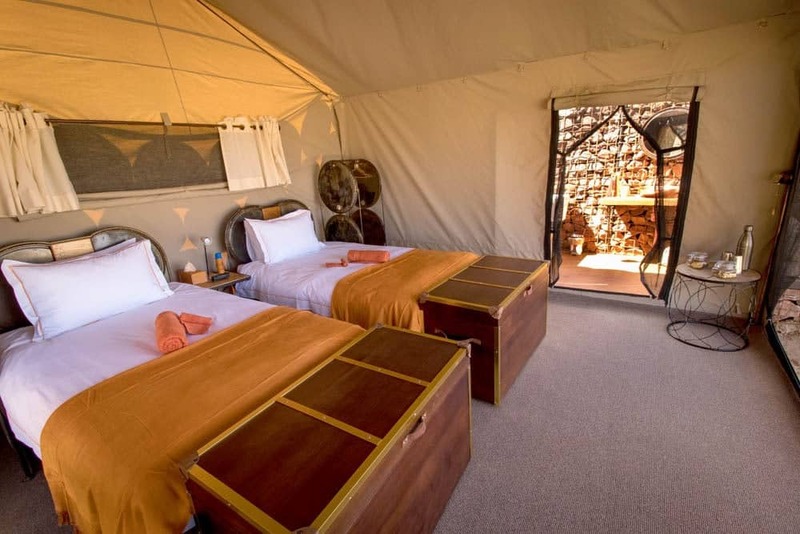 Since these camps are not permanent, there is a certain amount of compromise required concerning some of the frills and other add-ons that you might expect in a permanent tented camp or lodge. For those prepared to forego some creature comforts so that you are unencumbered by buildings and all the paraphernalia that goes with them, you will be able to go to sleep hearing only the silence of the desert and to wake up to a chorus that announces the start of a new day. It’s the kind of intimacy only achieved by taking guests to the most wild and remote places, and then moving camp before the inhabitants of that environment have gotten used to the camp’s presence and adapted their behavior accordingly. Each Under Canvas camp is non-participatory and is serviced and equipped to ensure that guests can stay in great comfort while relaxing and reveling in the feeling of space and solitude that makes Namibia so special. Added to that, we consider good food and wine to be an important part of the overall experience so our catering in camp is of a suitably high standard - even in dry, desolate areas where this can be hard to maintain. Delicious, wholesome meals with local delicacies are prepared for each meal time using fresh local produce wherever possible. All our camp chefs have their own unique specialties and guests are cared for by a caring warm tribe, who absolutely love what they do. Our Under Canvas camps use large rectangular Meru tents (4m x 3m and 2.5 m high) with built in groundsheets and mosquito screens on all doors and windows. 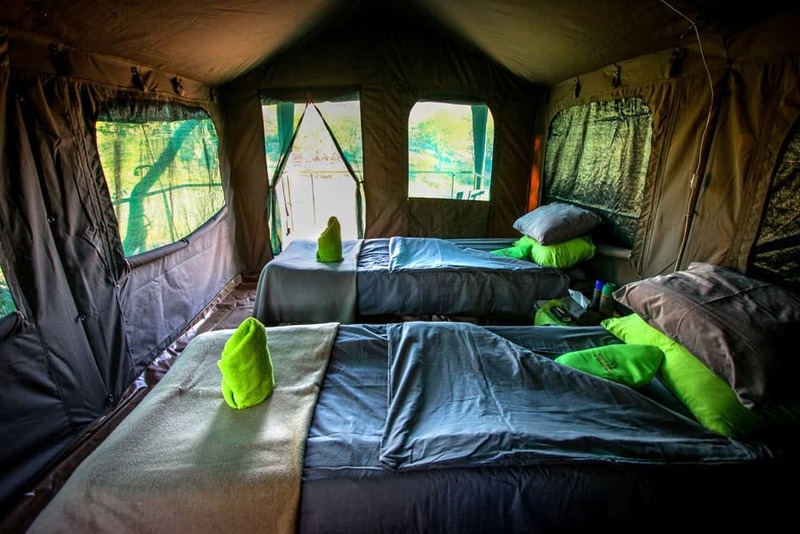 Each tent is equipped with solar lighting, bedside table, comfortable standard height camp beds and mattresses with normal bedding as well as an additional blanket and a hot water bottle for those chilly nights, and a cabinet in which to store clothing and other belongings that need to be accessible. Towels and toiletries are also provided in the private bathroom which also has its own toilet (flush or field depending on the location of the camp), bucket shower and washbasin. A small table, mirror and solar lighting are also provided in the bathroom, and chairs on the patio allow guests to relax and enjoy the surrounding view. This camp is nestled in a grove of mopane trees on the banks of a tributary of the //Huab River, deep in northern Namibia’s Damaraland. Protected from all the prevailing winds and sun, the camp is virtually invisible from anywhere around and it carries arguably the lowest environmental footprint of any camp in Namibia. Tents are raised on mobile platforms and have basic infrastructure that allows for important comforts such as en suite flush toilets, but the essence of the camp remains Under Canvas, mobile and experiential. Similar is style to the //Huab Under Canvas camp, Sossus Under Canvas is located on the private Namib Tsaris Conservancy and nestled between the Nubib and Zaris Mountains, this camp is a mere thirty minutes’ drive from the Sossusvlei gate and the Great Namib Sand Sea which has recently been declared a UNESCO World Heritage Site. 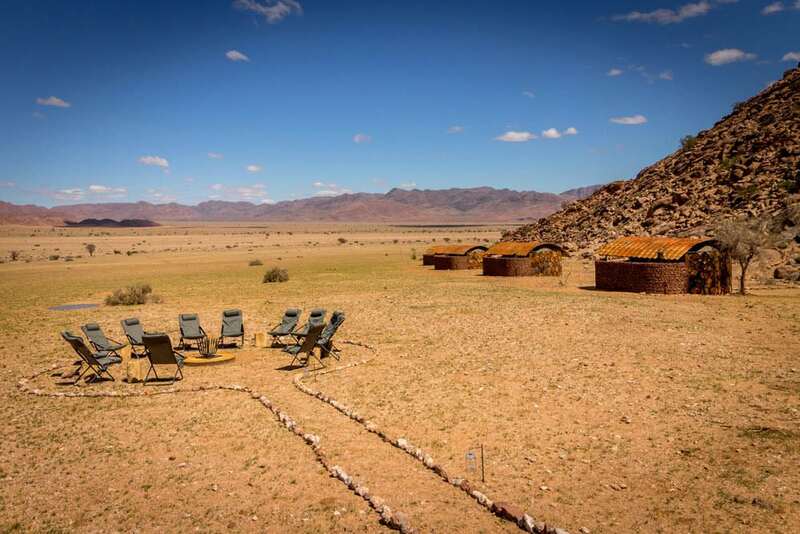 The camp offers eight tents, two of which are family units, and is open seasonally between April and November, offering a fantastic alternative to any traditional lodge in the Sossusvlei area as it also offers exclusivity which is beyond compare. 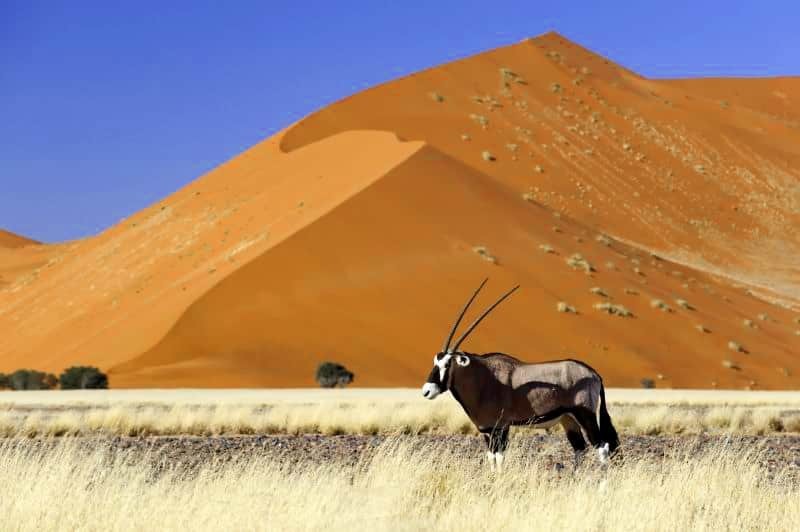 Activities include visits to Sossusvlei with your private guide and general exploration of the private Neuhof Nature Reserve, including nature walks and drives, magic moments in desert pools (yes, isn’t that intriguing) and star gazing. In addition to this, Sossus Under Canvas provides a convenient base from which to go on hot air balloon flights as well as scenic helicopter and fixed wing aircraft flights over the local area. It is also a great venue for photographers, offering fantastic landscapes, iconic quiver trees, and the opportunity for night time photography which is often very difficult to arrange elsewhere. 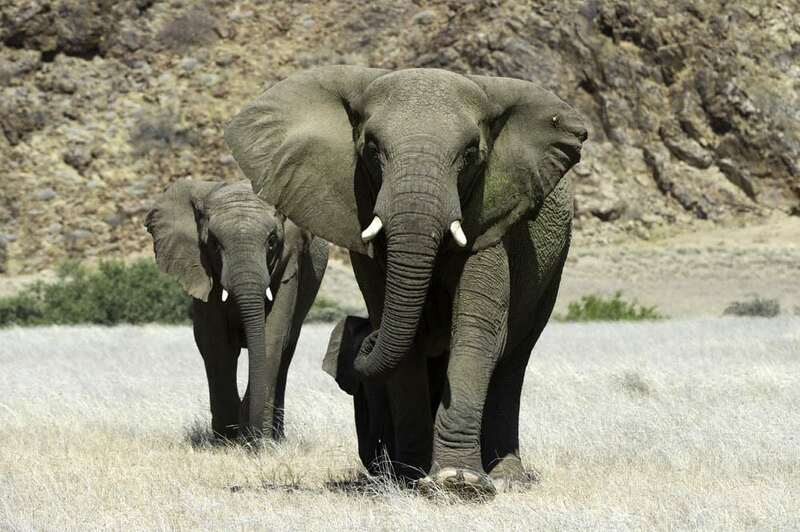 The 59,000-acre Namib Tsaris Conservancy was founded in 2010 and serves as a natural buffer from the harsh desert conditions and a refuge that is vital to wildlife through the dry season. Eight years of intensive work to reverse sixty years of inappropriate farming practices, including the removal of 75 miles of internal fencing, the installation of wildlife watering points, the improvement of road networks, the rehabilitation of land and the reintroduction of wildlife that historically occurred here, has resulted in one of the most picturesque and ecologically sound tracts of land in the area. 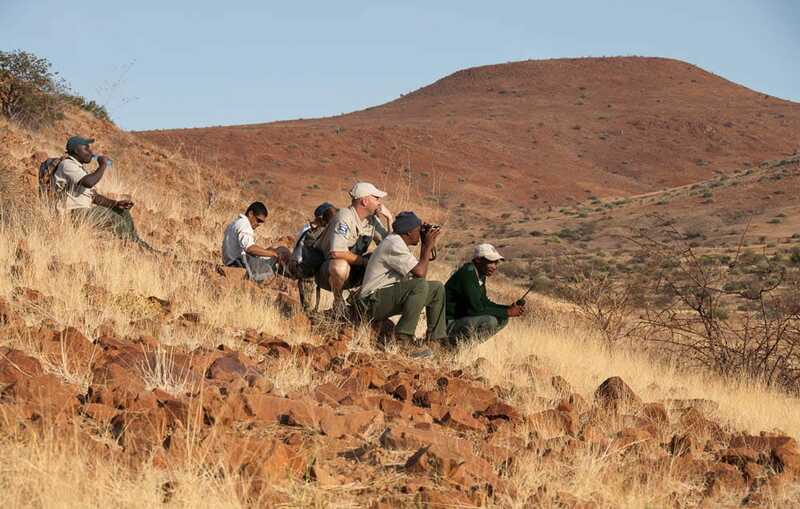 The Conservancy has gravel plains, mountainous areas with dry river valleys as well as a large raised plateau which towers above the desert below, and it is now home to some of largest concentrations of wildlife in the area, including oryx, springbok, Hartmann’s mountain zebra, Burchell’s zebra, kudu, hartebeest, giraffe, steenbok, klipspringer, bat-eared fox, and aardwolf, as well as predators such as leopard, cheetah, brown and spotted hyena. 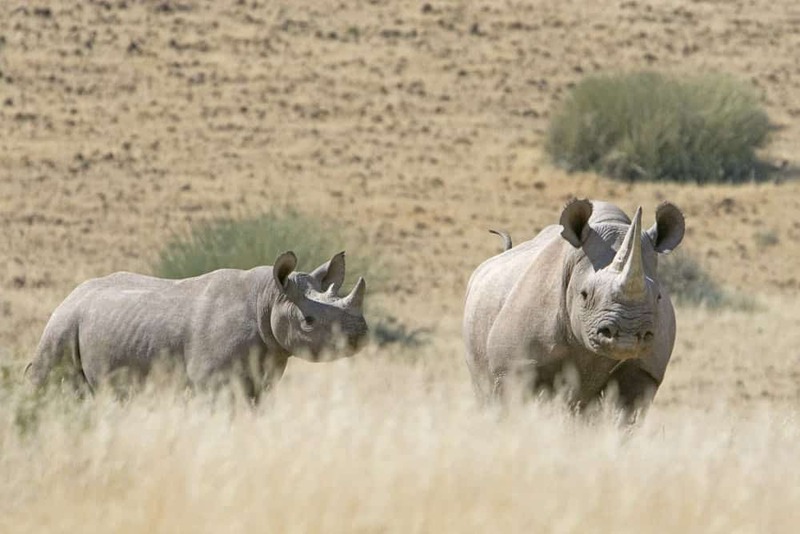 Plans for the future which include the reintroduction of critically endangered black rhino and the acquisition of adjoining land are already well underway! How can you experience these camps? A visit to either camp can be added as an extension to a private safari or you can join our "Namibia Under Canvas", a 10 day group safari with scheduled departures throughout 2019. 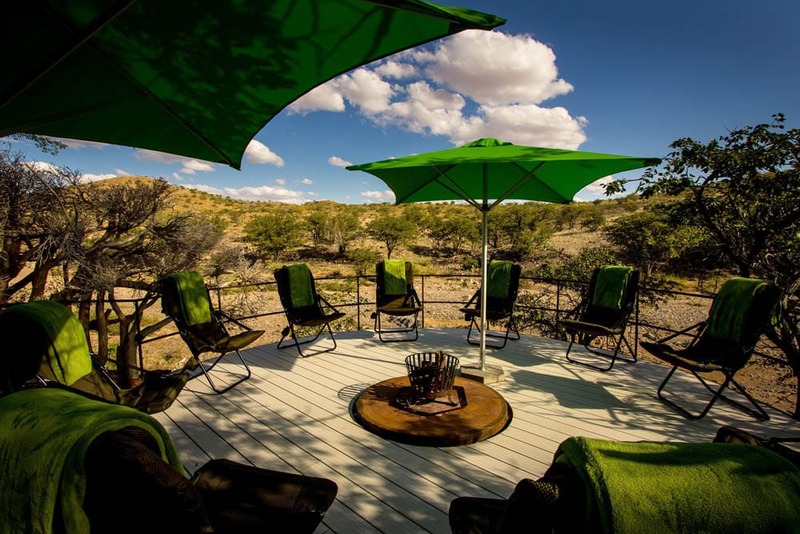 Accommodation includes stays at //Huab and Sossus Under Canvas as well as other tented camps throughout Namibia. In addition to Damaraland and Sossusvlei you'll explore Etosha National Park and the coastal town of Swakopmund. Contact us for availability or for a detailed itinerary.